Toshiba Software India Pvt. Ltd. (TSIP), a 100 percent subsidiary of Toshiba Corporation on Tuesday announced the appointment of Takashi Ishikawa as its new Managing Director. Effective February 01, 2018, Ishikawa is appointed to lead TSIP to the next level of growth across the company's software solution business in the country. Ishikawa replaces Hidehido Koka, who has been committed to TSIP's success story and played an integral role in its growth and development in India. Under his leadership, TSIP expanded its consumer outreach, built stronger teams with over 1000 employees, established new offices, and consistently exceeded sales and profitability. "It was an enriching and a humbling experience for me. After heading India operations for seven years, I can confidently state that the stint in India remains the most memorable one. The diversity of people, their culture and the unique business opportunity and challenges that India posed is enormous and one of its kind," said Koka, the erstwhile Managing Director at TSIP. "Toshiba Software India is an intrinsic part of the group's digital and software transformation. 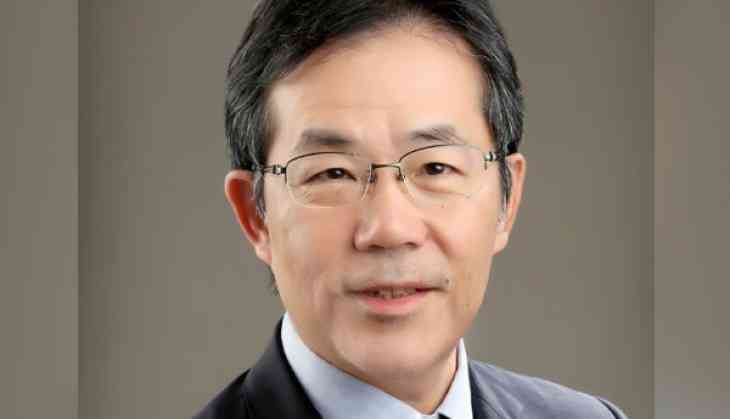 Hidehido Koka has played an instrumental role in expanding the business and establishing TSIP as a leader in providing software solutions at all layers of software architecture. With my experience, I look forward to pursue the 'ACROSS and BEYOND' philosophy to set new benchmarks for service delivery and customer delight," said Takashi Ishikawa accepting his new role. "Our 'ACROSS and BEYOND' philosophy is in line with the group's commitment to 'Make-in-India and Export-from-India', aimed at establishing TSIP as a technology hub for industries like robotics and AI, move from off-shore development to becoming a centre of excellence for companies entering India, and expand our operations to systems solution development, consultancy, and hardware development, while focusing on our quality assurance," Ishikawa added. A post graduate in Mechanical Engineering from Stanford University, USA, Takashi Ishikawa is a Toshiba veteran for almost three decades and has been associated with many new product developments. He also has three year experience as the president of a Toshiba subsidiary - Toshiba Software Consulting Corporation. He joined TSIP in June 2014 and since then, established a Global IT training course and contributed business expansion of TSIP by leading the software development projects in social infrastructure division as the general manager.